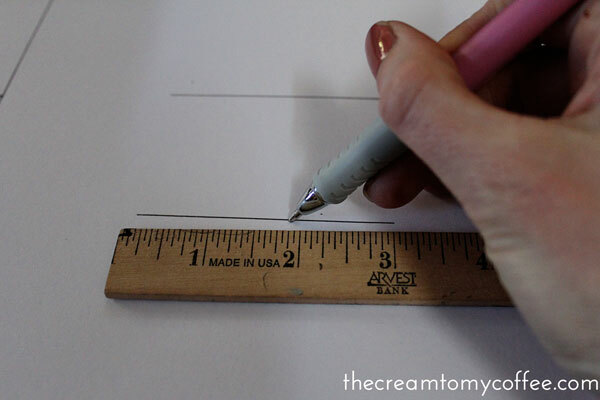 Step 1: Create a stencil shape on the printer paper by using the ruler. 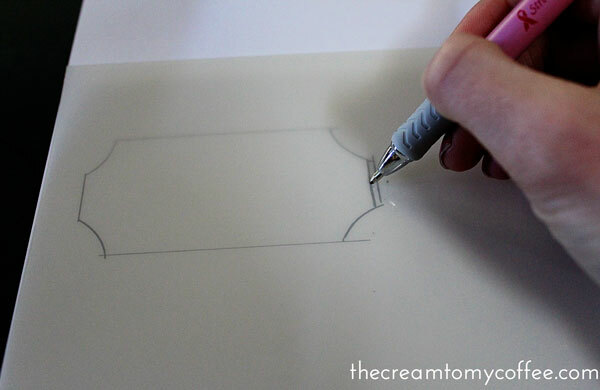 Step 2: Trace the shape onto the stencil paper. I tried to use a pen (shown below) but I ended up using a sharpie. 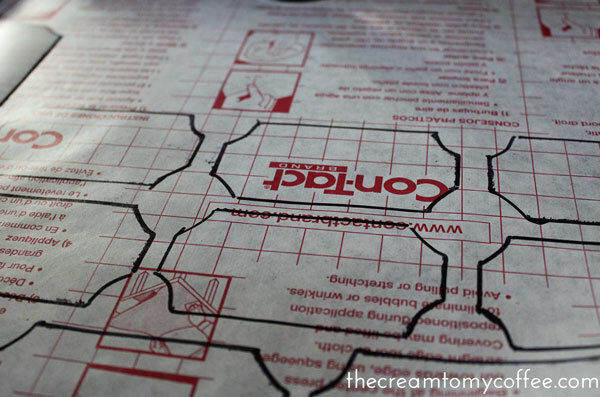 Step 4: Trace the stencil onto the back side of the contact paper. Create as many stencils as you need. 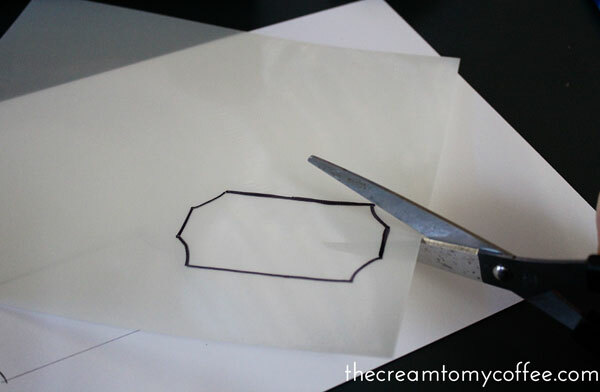 Step 5: Cut out the stencils, stick them on the canisters and you're done! I love the way the chalkboard labels make my pantry look even more organized. 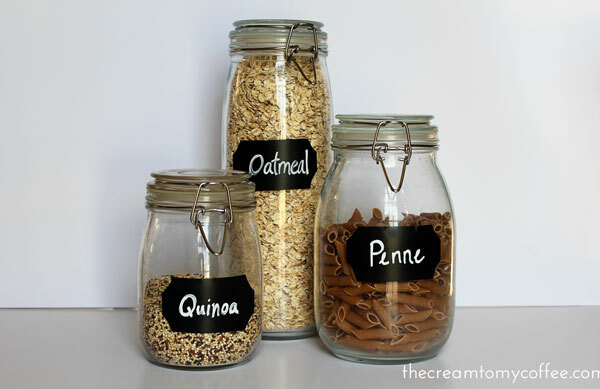 Could I tell the difference between the Penne and the Quinoa before I labeled the jars? Um, yeah. But hey, it looks cute :) The chalkboard paper was relatively inexpensive and I have nearly a whole roll left for other projects. 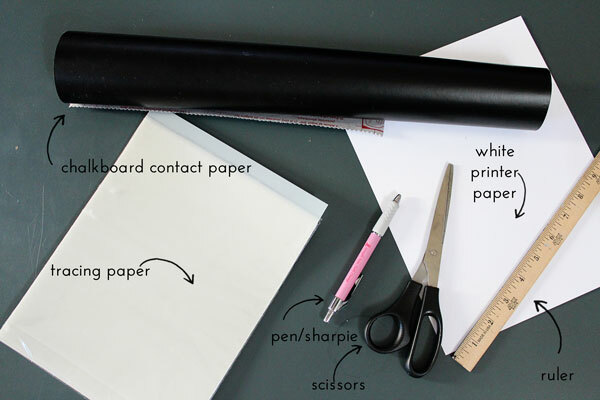 I also used a chalk pen to write on the labels and it works really well with the contact paper. I'm sure I'll think of plenty of other ways to use the two together! I know, aren't the great?! I hate the feeling of chalk on chalkboards, so I am so thankful someone came up with a chalk pen! I didn't even know they have chalkboard contact paper! Love these labels. So cute. Soooo simple yet so cute! They look so complicated to make ;) And sophisticated! i didn't know they had chalkboard contact paper! they look so good!!! I love it! Very cute. 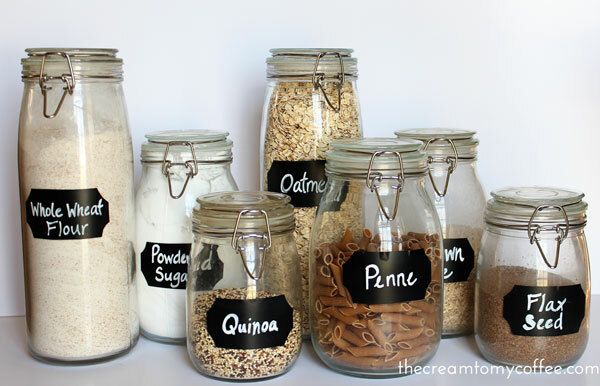 The jars are cute too! Awesome DIY! Pinning this for sure. 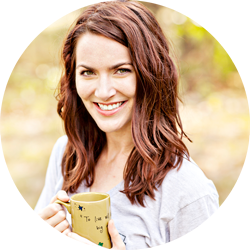 I laughed out loud at your "Could I tell the difference between the quinoa and the penne before?" Duh! That's not why we label, is it? It's all about how it looks. And yours is great. Haha, my husband was like "I can tell the difference already..." He had to be reminded that it's all about the look!